Strong ankles will give you good stability, balance, range of motion and the ability to generate power safely. This will not only improve overall movement and sports performance, but also dramatically reduce the risk of re-injury without the need for ankle braces, tape, etc… And since the ankles and feet are the base of the body, it will help ensure good overall movement in the rest of your body, protecting your knees, hips and low back from injury too! But, here’s the problem: very, very few people have strong, stable ankles. Instead, most people have weak ankles that desperately need to be strengthened. Let’s talk about why, so you can learn how to fix it. First ask yourself if you’ve ever had a sprained ankle? And nor consider this… new data suggests that just one ankle sprain can affect you for life. That’s a weird concept for most people, since it seems like such a minor injury. After all, it’s not an achilles tear that requires surgery or an ACL or MCL tear in the knee. But, here’s the thing… a sprained ankle causes all sorts of damage to the ankle joint and it does not heal on its own. That means that if you sprained an ankle at some point in your life and just relied on rest and ice, etc… then it’s very likely the damage never fully healed. And that means you will have weak and unstable ankles. What happens next is decreased overall performance and ankles that are very likely to sprain again! If you’ve already gone through this terrible cycle of re-injury, at least now, you can understand why. Now, even if you never sprained an ankle before, you can still have weak ankles… That’s because we wear unnatural shoes (which inhibit natural ankle movement) and walk on unnatural and even ground, which does NOT challenge our ankles. So, over time, our ankles get weaker and weaker, because they are not being used how they were meant to be… But regardless how your ankles got weak, you can take some simple steps to get them strong! So, what can you do if you have weak ankles? Well, hopefully you now understand what not to do (wait around and hope for the best) and you’re ready to take some steps to strengthen your ankles. It should be done naturally, gently and safely. 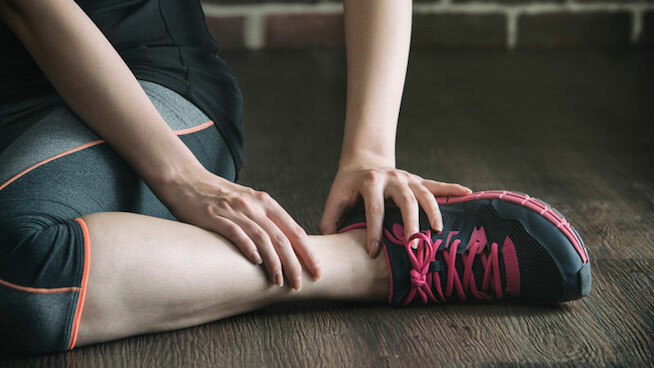 The good news is that even people with old ankle injuries that happened many years ago have still gotten tremendous results by simply following a good ankle rehab program. Wear comfortable shoes – One of the biggest contributors to weak ankles is high heels and dress shoes that cause tight calves and restrict natural movement. As much as you can, wear natural, lightweight shoes that allow your ankles to move freely. Avoid ankle braces – As I covered above, ankle braces weaken the ankles. 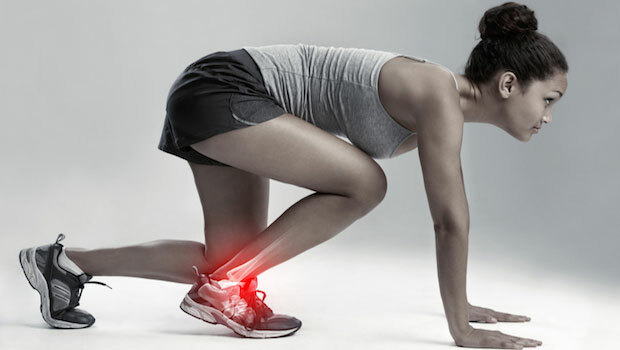 they also inhibit natural ankle movement, which can eventually lead to knee injuries. As long as you have enough stability to walk without re-injuring your ankles, focus on building strength naturally instead of relying on braces, wraps or tape. Walk on natural ground – We spend most of our time walking on perfectly even ground (carpet, wood, cement) that never challenges your ankles. If you have access to sand, grass, or anything else that is uneven, try to walk on it as much as possible (with comfortable lightweight shoes or even barefoot) as this will naturally start to strengthen your ankles. Practice balance – Something as simple as standing on one foot can really help to build ankle strength. And you will be surprised at how hard it is with weak ankles. Of course, there are lots of ways to progress balance exercises, but start easy and then challenge your balance more and more over time. Multi-directional movement – Most people only think of moving in one plane of motion. But, to have strong ankles, you need to challenge them in multiple planes of motion. That means moving forward, backward and at all different ankles. There will be some directions that are easy and some that are hard for you. Practice the hard ones, until they get easy. If you are really serious about having strong ankles that are pain free and at a low risk of re-injury, then I strongly recommend following a great ankle rehab program. You can either go see a good Physical Therapist or use my HEM Ankle Rehab program. I guarantee you will strengthen your ankles safely and quickly at home. It’s super easy to do and you don’t need any equipment! I hope you will take a little time to build strong ankles, because it is definitely worth the effort!